The Indians are the third MLB team that Terry Francona has managed. Refreshed, energized, and with something to prove, Terry Francona embarks on his third managerial mission, this one as challenging as he’s ever had. It’s not often that a two-time World Series-winning manager has to step back and restart with another organization, especially one that devotes half the resources toward payroll that his previous one did. But the falling out between the Red Sox and Francona that led to Francona’s firing created a yearning in the manager to explore other options. After a year to step back and reflect — and work with ESPN, where he was a hit as a color commentator and analyst — Francona accepted the Cleveland challenge. 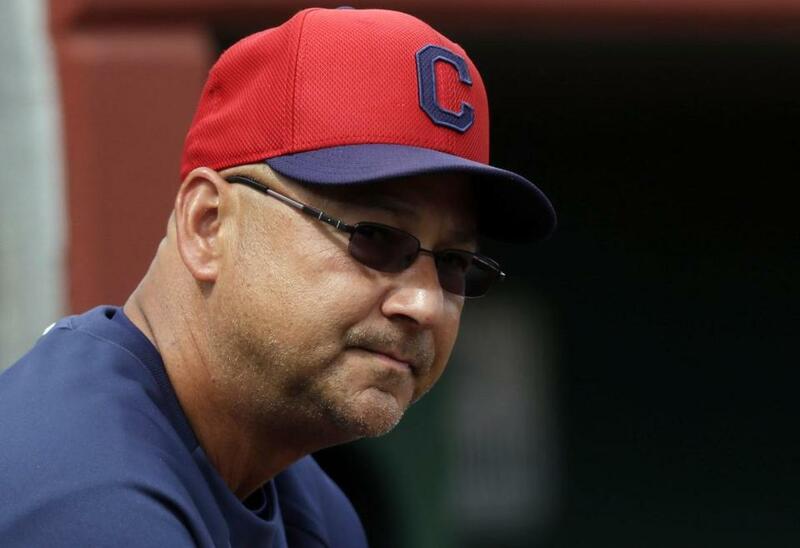 He debuts as Indians manager Tuesday vs. the Toronto Blue Jays, the team favored by many to win it all this season. Graphic: Who has the most Opening Day starts? When the Phillies announced that Roy Halladay wouldn’t take the ball on Opening Day this season, it ended his streak of 10 consecutive Opening Day starts, the longest active streak in the majors. The new leader is CC Sabathia, who is scheduled to make his eighth straight when the Yankees host the Red Sox Monday. Francona, who has been prominent in two popular baseball commercials this spring, will need a little more than celebrity status to get the Indians where they want to go. But he at least has created excitement in Cleveland and hope for a team that spent some money on offense with the Michael Bourn and Nick Swisher signings. “We’re very excited about what’s ahead,” Francona said. “You have to be at this time of the year. We feel good about our team. We’ll go as far as our pitching will take us, but our guys have been throwing the ball well and we all have a good idea of what needs to be done. That would be beating the Detroit Tigers, the 800-pound gorillas of the AL Central. “There are good teams in our division,” said Francona. “We know how good Detroit is, but you know we can’t approach the season like that. We know we’re playing Toronto first and we have to take care of things with them and then move on to the next series. Swisher, a guy with a strong personality, is Francona’s new Johnny Damon. He has taken on the role as a team leader, and a guy who provides comic relief. He has shown the way. Francona also speaks highly of veteran first baseman/pinch hitter Jason Giambi, who will start the season on the disabled list but who also has taken a leadership role. It may be difficult for the Indians to surge in the standings with Justin Masterson and Ubaldo Jimenez at the head of the rotation. They are more middle-of-the-road starters. “We had a good camp,” said Francona. “Millsie [Brad Mills] ran it like he always does and we got a lot of work done. The Indians finally should be competitive. This isn’t the 94-loss team of last season that went a laughable 5-24 in August. Ownership gave general manager Chris Antonetti the means to sign Bourn to a four-year, $48 million deal and Swisher to a four-year, $56 million contract, creating some buzz that spiked ticket sales (slightly). Now you have good players around the homegrown core of shortstop Asdrubal Cabrera, catcher Carlos Santana, and second baseman Jason Kipnis. The Indians believe young Lonnie Chisenhall could be on the verge of breaking out as a top third baseman. DH Mark Reynolds is hit or miss, but when he connects, he can hit a ball a long way and should provide middle-of-the-order power. Chris Perez has been a top closer, but shoulder problems have slowed him a bit and he may not be himself early in the season. The Indians have a reclamation project in Scott Kazmir, who won the No. 5 starter job, and they’re hoping the acquisition of veteran righty Brett Myers will pay off as an innings-eater and veteran presence, even though he didn’t have the best of springs. They hope righty Zach McAllister will blossom. Francona surrounded himself with other familiar faces such as Rich Hill and Matt Albers in the bullpen and Mike Aviles, who will be the super utility player. A running joke through spring training was, who will win more games: Francona’s Indians or John Farrell’s Red Sox? It will be an interesting subplot. That general manager Brian Sabean and manager Bruce Bochy were signed through the 2016 season by Giants ownership should come as no surprise. They deserve it after winning two World Series championships in three years. “It’s a tribute to our entire organization,” Sabean said. “We have hard-working people here who know baseball and know what our manager needs to put together the best team possible. “Bruce does an incredible job getting our guys ready to play baseball on a daily basis. We have people out in the field scouting and recognizing top players and we have a farm system that keeps producing players for our major league team. Shortly after securing a new deal for himself, Sabean finished off a nine-year, $167 million extension for Posey. Sabean is never completely satisfied with the team he starts the season with. He always fears there’s not enough depth to withstand those injuries, yet he always seems to adjust as the season goes on. Three years ago, he acquired Cody Ross on a waiver deal from the Marlins and Ross carried the Giants to a World Series win. Last season, he acquired Marco Scutaro from the Rockies, and Scutaro was red-hot in the second half of the season and the playoffs, winning the NLCS MVP award. Sabean is an “old school” GM who relies on scouting more than statistical data, though he has a department in baseball operations for such things. As team chemistry is a theme of our preview section in the Globe, it’s worth saying that the Giants are the epitome of chemistry, from the front office down. 2. I wonder, did the Red Sox let the wrong guy go in Lyle Overbay? 3. The Red Sox seem to have younger pitching depth with Allen Webster, Henry Owens, Matt Barnes, and Rubby De La Rosa. 4. The Orioles may be the most confident team in the AL, and with good reason. They believe they’ll get better as their younger core veterans get a little bit older, and because the very impressive Kevin Gausman is likely to be added to the rotation at some point. 6. Once again, most teams sent their top prospects back to the minors. They apparently didn’t learn from the Angels’ mistake last season when they didn’t start Mike Trout in the big leagues. That likely cost them the division, as they got off to a 6-14 start. The Red Sox are doing the right thing with Jackie Bradley Jr.
7. AL predictions: MVP: Miguel Cabrera. Cy Young: Josh Johnson. Rookie of the Year: Wil Myers. Manager of the Year: John Gibbons. Batting champion: Cabrera. Comeback Player: Victor Martinez. 2. Brian Wilson, RP, free agent — Here’s a guy the Tigers might be able to pluck from the mix when he’s ready. According to a National League GM, “He won’t let anyone look at him until he’s completely ready to go. I think everyone is anxious to see when that time comes, because if he gets it back to what he used to be, he’s going to help someone immediately down the stretch of a pennant race.” And don’t rule out a return to the Giants. 4. Domonic Brown, OF, Phillies — One of my candidates for breakout player. He seems to be figuring it out. Others on my list: Lonnie Chisenhall, Brett Lawrie, Will Middlebrooks, Colby Rasmus, and Justin Smoak. 7. Carl Pavano, RHP, free agent — The serious spleen injury in January that nearly cost him his life — he fell at his Vermont home while shoveling snow — has put baseball in the distant future, if it’s there at all. Pavano lost 6½ liters of blood and faces a long recovery. 8. Brian Butterfield, coach, Red Sox — Yes, it was Butterfield who influenced Derek Jeter’s baseball career, probably more than anyone. When Butterfield was in the Yankees organization, he took a 19-year-old Jeter who had made 56 errors at Greensboro in 1993 and worked with him every day for 40 days in instructional league. “He had great hands but he didn’t know what to do with them,” said Butterfield. “Tremendous raw talent, so we broke it down for him. We worked him pretty hard.” Jeter reduced his errors to 25 in 1994 and never looked back. From the Bill Chuck files: “R.A. Dickey allowed 23 0-and-2 hits last season, the most in the majors. Ryan Dempster only allowed five.” Also, “Last season, major league batters averaged .298 against fastballs. David Ortiz hit .321 against the fastball, but Jarrod Saltalamacchia hit a dreadful .198.” . . . Interesting that, according to Yahoo, the Red Sox were the fourth most-searched team on the website over the last 30 days (the Tigers, Yankees, and Rangers were ahead of them) and that Jackie Bradley Jr. was the second most-searched rookie (behind the Dodgers’ Yasiel Puig) . . . Wish Scott Atchison (37) and Eric Gunderson (47) a belated happy birthday (Friday). @nickcafardo. Material from interviews, wire services, other beat writers, and league and team sources was used in this report.